#1004 19th May 2016 at 8:11 PM Last edited by Steve_Morgan : 19th May 2016 at 9:09 PM. Hi there, the download stops after a few minutes and I cannot get the complete file downloaded - any ideas? Is there any way to get the complete manuell-installation-file for windows somewhere? I just wanted to thank you for all the hard work you put into this. I honestly can't afford to make a donation, but I just wanted you to know that your work is appreciated. Thank you. Not sure if anyone who can help or will care will see this, but I'm having an issue. Every time I'm in buy mode, and go under misc in the decor section my game will freeze for a few seconds before crashing completely. Other than that it's working fine, I've tried it out on a few of the items you can't normally recolour and it's doing what it should, none of the other buy/build mode categories seem affected. I'm on a Mac, I have the University, Nightlife, Open for Business, Pets, and Seasons EPs installed, and the Glamour Life stuff pack, and I of course removed all CC of any kind before hand. I'm just going to uninstall it, it's not a huge deal, but I though I'd post my problem incase anyone cares. #1010 26th Aug 2016 at 4:09 PM Last edited by sunniwawa : 31st Aug 2016 at 5:10 AM. Had the same issue, but I finally fixed It! It works! This file must be copied into your Downloads folder. 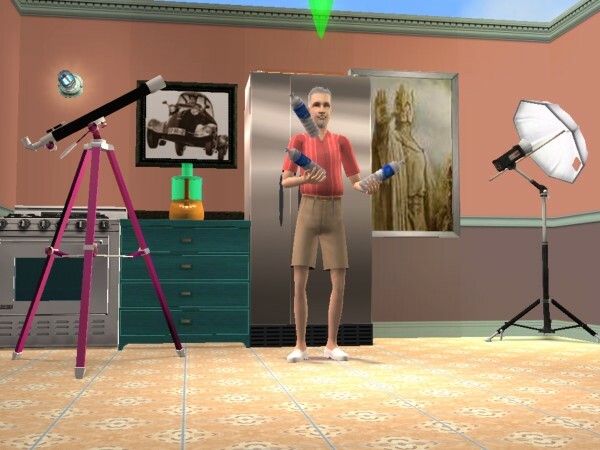 C:\ (Program Files (x86)\OriginGames\The Sims 2 Ultimate Collection\Double Deluxe\Base\TSData\Res\Catalog\"
You make sims2, so much more; I am not a creator but I so enjoy all the creations your CEP & scriptoium have given me. Thanks for making this "wonderful" mod. I forgot how to install this but that's ok and its really glitchy. This message has been deleted by Pickles89.